Last Wednesday saw the launch of the much-anticipated 150th year celebrations of the CBS in Dundalk. 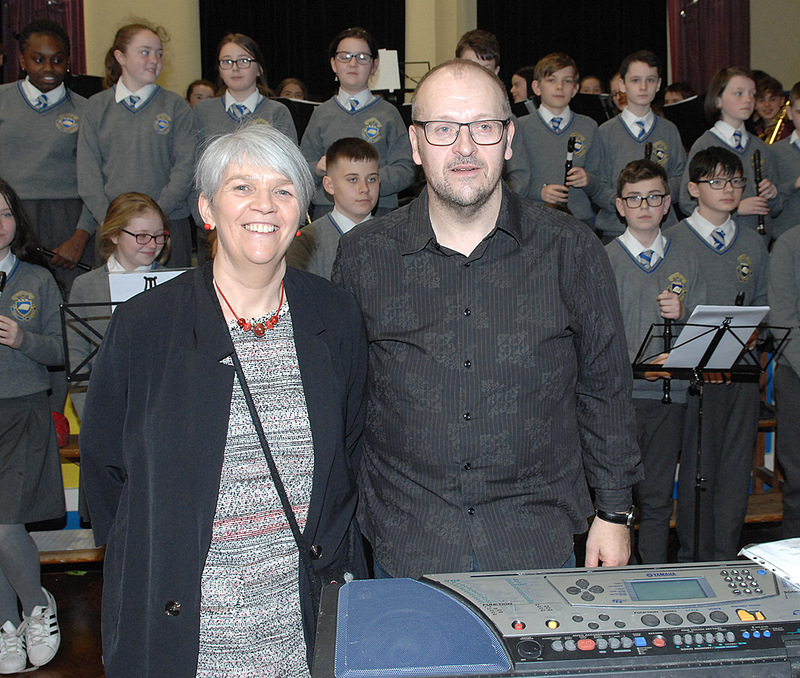 Fittingly, the celebrations were launched by MGL musician in residence Micheál Gaskin, a past pupil of both CBS primary and Coláiste Rís secondary school. This amazing event brought a team of professional musicians and the Bailieboro Senior Youth Band to the school for the day to play for and alongside all the students. 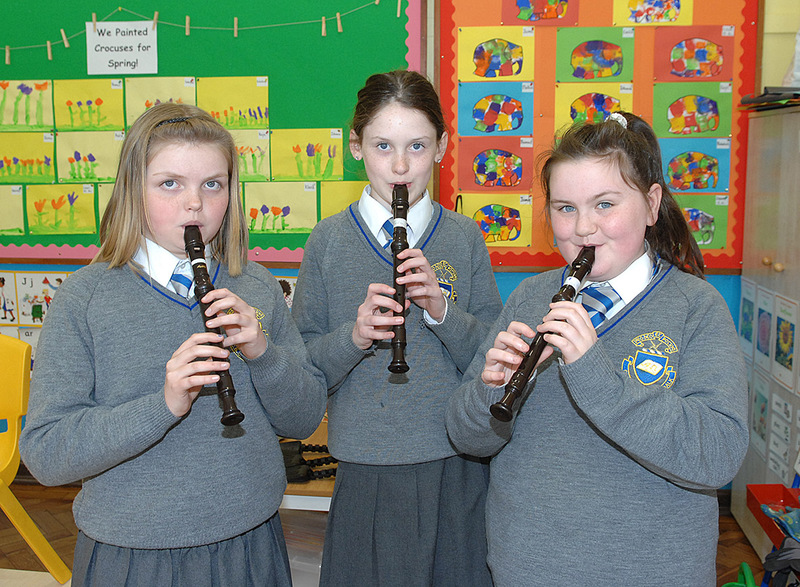 The celebrations began in the primary school with a recorder concert featuring the children of 4th, 5th and 6th classes. In the morning, the junior classes at the school had the chance to hear the super talented young performers from Bailieboro perform and learn about the various wind instruments in the band. The atmosphere was electric! There followed an impressive afternoon performance from the CBS children for parents and friends. 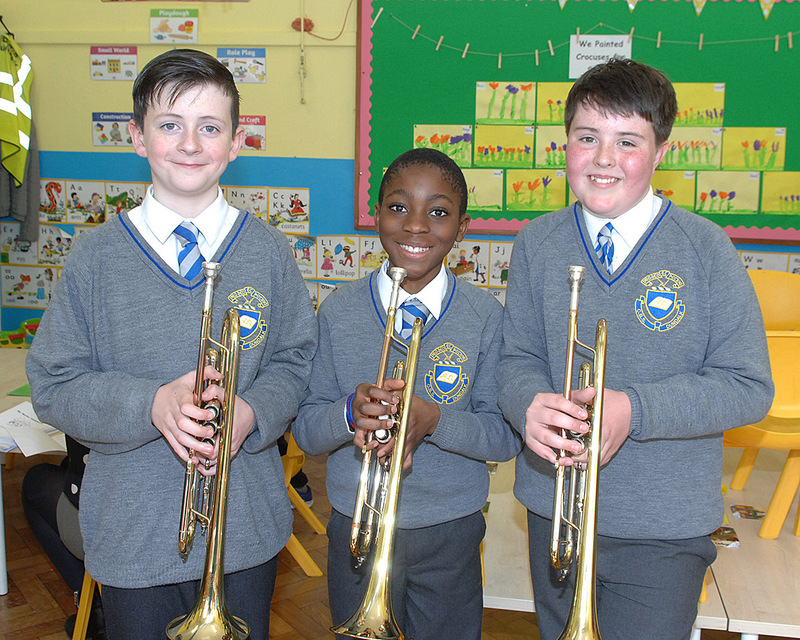 Preparations for this event began in October under the leadership of Micheál as part of the Music Generation Blown Away recorder programme of bringing music to schools throughout the county. This initiative sees all children from 4th to 6th classes experiencing instrument playing and music learning as part of their education. He also leads the after-school brass band group which has been an exciting development at the school over the past two years. A series of 150 year celebration events are planned in the coming months to include; a mass for both schools on May 10th with Archbishop Éamon Martin concelebrating, a football match on the 11th featuring players from the 1985 Colaiste Rís Leinster championship winning team and past Louth players, a schools’ concert in November, featuring children from both schools and a Gala dinner on November 23 as well as workshops, guest speakers and open days where pupils past and present will be welcomed to take a trip down memory lane. A commemorative book will also be launched to celebrate this momentous occasion featuring photos, articles and interviews with pupils past and present.